Today it’s a mixture of joy and sadness as we welcome with enormous pleasure Lauren Child as our 10th Waterstones Children’s Laureate and bid a fond farewell to the legend that is Chris Riddell. Lauren simply exploded on to the children’s book scene back in 1999 with her ground-breaking picture book Clarice Bean, That’s Me and quickly followed this with the all-conquering series Charlie and Lola. If being one of the world’s leading picture book writer-artists wasn’t enough, Lauren later developed the series Ruby Redfort (Clarice’s favourite literary character!) for slightly older children, underlining Lauren’s gift and understanding for writing for children of all ages. 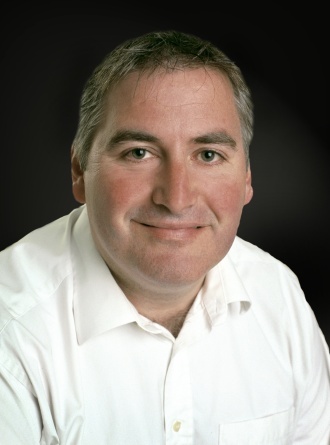 Pan Macmillan announces that Chris Riddell has been appointed the new Children’s Laureate 2015 – 2017. Pan Macmillan is the longstanding publisher for Riddell’s authored and illustrated work, including the acclaimed and award-winning Goth Girl and Ottoline series, and his collaborations with author Paul Stewart on the Muddle Earth and Blobheads series. In his acceptance speech at the ceremony today, Riddell revealed plans to put visual literacy at the heart of his term of office. He will use his Laureate’s Log – an online visual diary of his time in the role – to entertain and inform those who follow his progress, and encourage families to keep their own visual diaries. He will also work to widely celebrate and defend school libraries and librarians who, together with parents, match children with books that will inspire and help them grow into great readers and thinkers. He intends to emphasise the excitement of illustration at live events, both alone and with unexpected collaborators from across the arts. The role of Children’s Laureate is awarded once every two years to an eminent author or illustrator of children’s books to celebrate outstanding achievement in their field and to acknowledge their importance in creating the readers of tomorrow. The announcement of his role as Children’s Laureate comes on the back of a succession of notable award listings for Riddell’s Goth Girl series, including the Specsavers National Book Award 2013 and 2014, the Blue Peter Book Award 2015 and the CILIP Kate Greenaway Medal 2015. The first book in the series, Goth Girl and the Ghost of a Mouse, won the Costa Children’s Book Award 2013. He has also won numerous accolades for his picture books for younger children, including the Emperor of Absurdia and Alienography.